Days after celebrating his daughter Zoe's first birthday, Adam Gale gave five strangers a gift they will never forget, journalist SHERELE MOODY reports. LIKE the five strangers who received her daddy's organs, little Zoe Gale will never look into the eyes of the man who gave her - and them - life. But Adam Gale's only child will grow up knowing her dad is a hero. 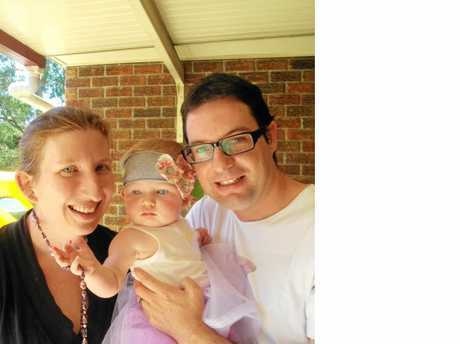 Adam died just a day after he and Zoe's mum, Lee Gale, celebrated their blonde-haired blue-eyed daughter's first birthday in the park opposite their home in the Logan City suburb of Cornubia. On a pleasant sun-drenched Saturday in January of 2014, and surrounded by family, friends and neighbours, the Gales heralded the beginning of their only child's second year in this world with laughter, love, presents and that most Aussie of traditions - a barbie. Too tired to pack up from the party, 32-year-old Adam and Lee decided to call it a night. The next day Adam and his neighbourhood mates, John Dalmedo and Jose Munoz, popped over to the scout hall to collect the BBQ. "We left the BBQ there because we couldn't be bothered bringing it back that night," 35-year-old Lee tells NewsRegional, speaking softly so as not to wake five-year-old Zoe who naps nearby in the home the she and Adam bought in 2006. "They were bringing the barbie back into the yard and he just collapsed after putting it down. "He started having seizures, so we called an ambulance straight away." Lee travelled in the front passenger seat of the ambulance, feeling "helpless and terrified" while a paramedic worked on her husband who had never had any serious health problems. "It was really terrifying because I just didn't know what was going on," she said. "Then half way along we had to stop on the M1 so specialist doctors could meet the ambulance to intubate him on the side of the road." Intubation is the process of inserting a tube, usually into the trachea, so the patient can be connected to a ventilator to help them breathe. "That was really scary but at the same time the paramedics were really supportive and tried to keep me informed as much as they could," Lee said. "But he never regained consciousness." In the intensive care unit at the PA, doctors explained to Lee, Adam's parents Judy and Paul and his brothers Nathan, Brian and Scott that an aneurysm had caused a catastrophic brain injury and their loved one was dead. They also explained that the ventilator connected to his body was keeping his organs alive. "It was short, it was out of the blue, we had no idea he had an aneurysm," Lee said. "It just burst, there was no rhyme no reason, it just went that day, that time. "He was young. He was fit. He had never had a medical condition. "There were no warning signs - no nothing." Trying to comes to terms with what Lee described as a "shocking and incomprehensible moment", the tight-knit family reflected on the many things they loved about their husband, son and brother and the memories they'd made in the 32 years of his life. While Adam was the second son of Judy and Paul, he was the first born of triplets. "I woke up from my caesarean expecting twins and I had three babies," Adam's mother Judy Baczynsky said of the day she gave birth to Adam, Nathan and Brian. "It was a big shock - I'd only had one scan and one was hidden behind the other." Adam, Nathan and Brian were born in Melbourne but spent the first five years of their lives in Mt Pleasant in Sydney. Adam's father Paul travelled to the Fraser Coast for work and fell in love with the region and not long after the triplets turned five, the family moved to Hervey Bay. "We didn't like the lifestyle in Penrith so we decided to come up here," Judy said. "We just took a chance." The triplets - and their big brother Scott - settled into life on the coast as their father transitioned from selling insurance to becoming a massage therapist. Judy did "any job I could get", including packing shelves at a local supermarket before eventually pursuing a career in childcare. 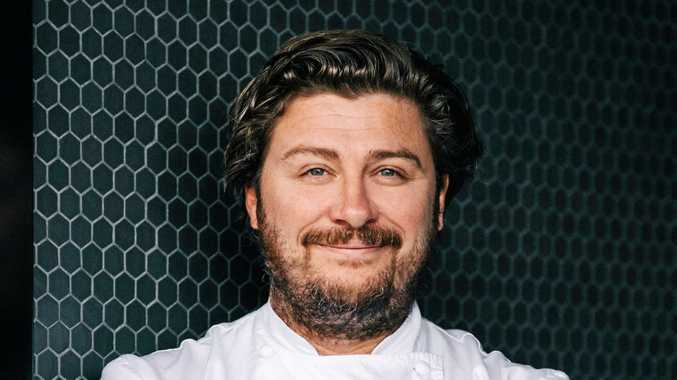 Adam excelled academically, graduating from Urangan State High School and enrolling in an advanced diploma in aquatic resource management at Central Queensland University in 2002. "He was a good child - he loved his sports," Judy said. "He had a huge circle of friends. He got on with everyone. "He was caring and thoughtful and loving." In 2003, Adam scored a job as a laboratory technician with Queensland Health in Brisbane. He moved to the city and it wasn't long before he met Lee while playing indoor cricket. "Instead of 'You had me at hello' I had Adam at 'How many runs did Matthew Hayden make in the cricket today? '," Lee said of their first meeting. "Adam loved his cricket and his soccer - he followed the Wests Tigers, Chelsea Football Club, Brisbane Roar and the New South Wales State of Origin team. "He was a very generous man. He was always willing to help out and do what he could for others. "He was really funny - overall he was just a really nice man." Not long after they started seeing each other, Lee moved to Kingaroy to complete two years' of practical training to become a qualified psychologist. They decided to tie the knot in 2006, they married in 2009 at the Holy Spirit Church in New Farm and they headed overseas to England, Europe and Asia for their honeymoon. "We saw castles in England, the catacombs in Paris and biked through vineyards in Austria," Lee said. "Adam swam in the Danube but there was no way I was getting in there - it was too bloody cold. "We got lost in Venice, we watched soccer matches in Florence and at Wembley Stadium. "We stayed at possibly the worst backpackers hostel ever in Amsterdam, drank about three litres of beer each at Oktoberfest in Munich and rode elephants in Thailand. "We had so many adventures and I am thankful we got to share those together." Adam, Lee and Zoe Gale. Adam died in 2014 and donated his organs to five strangers. When Adam and Lee set up home in Cornubia two things became obvious - Lee was a terrible cook and Adam was a terrible handyman. "He actually preferred to cook than to eat my food," Lee said. "He wasn't much of a handyman, but he was good at organising things so could always find someone to sort out the house." Adam worked as a laboratory technician for Queensland Health and he played football with St Patrick's Soccer Club and cricket for the Bunyips. In 2013, the couple welcomed Zoe into the world. "When our beautiful Zoe was born, I don't think Adam could have been more smitten," Lee said. "He couldn't take his eyes off her - it was true love at first sight. "She was the light of his life from the second she was born. "He was an amazing dad." Lee said Adam embraced fatherhood with fervour, often spending hours playing with the little girl in the park opposite their home. "He was a very hand's on dad," Lee said, remembering how she would wait each weekday afternoon for the familiar site of Adam's Holden Vectra turning into their driveway after work. "I really struggled being a mother because Zoe cried and screamed a lot for the first few months of her life. "I'd be standing at the front door holding this very unhappy baby, but Adam would be so excited to see her. "He would take her out of my arms and they'd go to the park so I could have a break. "They had a really lovely time over there. "He a was very hands on dad and he loved being a father." AS Adam's grief-stricken family was coming to terms with losing their "great guy", his medical team asked the hospital's organ donation coordinator to check if he was listed on the Australian Organ Donor Register. Operated by the federal Department of Human Services, the register allows Australians to officially record their choice to donate organs and tissues after death. When the Register started in 2000, it collected the intentions of road users who had ticked the organ donation boxes in their vehicle licences. Within six years the licence system was phased out and Aussies were able to register by filling in Medicare or Centrelink forms. Last year, a simple and easy to use online application form went live at　www.donatelife.gov.au. It takes less than a minute to complete and within a few weeks a confirmation letter and donor card arrives in your mailbox. The decision to register can be withdrawn at any time. Not only was Adam's name on the register, he had spoken many times to Lee about his wishes, often saying that taking one's organs to the grave was a "waste". "It was an incredibly difficult time because we had just found out he was not going to recover and that he was going to die," Lee said, remembering the moment a donation coordinator and Adam's doctors broached the subject. "As soon as they brought donation up, we went 'Yes, absolutely'. "We just wanted to make something good come out of this really horrible situation. "Every time organ donation came up in the media, he would say 'If you're not going to need them, why hang onto them?'." Lee said the medical professionals were extremely supportive, with their empathy and candour making the situation better than she could have hoped. "It was a very beautiful process," Lee said. "We were given the chance to ask questions and to have all the answers given to us. "We were allowed to take our time - there was no rush. "I had the option of saying 'No' right up until he went into theatre. While I was never going to do this, it was nice knowing I had that option." Once Lee gave the go-ahead for surgeons to operate on her husband, a series of processes fell smoothly into place. The necessary legal and medical forms were signed as the donation co-ordinator answered all the family's questions about what would happen when Adam's body went into surgery. Adam's medical history was pulled together using information from his family and his general medical practitioner. His body was put through a litany of medical tests to determine how well his organs were functioning and whether they were healthy enough to be transplanted. Blood samples were sent to a tissue-typing laboratory to compare with potential organ recipients, while further samples were analysed to ensure he was free of diseases and infections that could compromise the other patients' lives. Taking about eight hours to complete, the blood test results were sent to the donation coordinators who contacted heart, lung, liver, kidney and pancreas transplant teams across Australia. Each of these teams went through their lists of patients, determining the best matches based on each person's weight, height and blood group. Transplant hospitals were told to set up their operating theatres for the transplant surgeries that would take place as soon as Adam's organs were delivered to their surgical teams. As the medical team turned his ventilator off and Adam was prepared for his final act of generosity - five strangers found out that a man unknown to any of them was about to give them the gift of life. One day after he collapsed, Adam's heart was carefully placed into the chest of one man and another bloke received his lungs. One half of Adam's liver was given to a young child and the other half - along with one of his kidneys - was gifted to a woman. Adam's pancreas and remaining kidney were donated to another woman. When the medical team finished retrieving Adam's organs, they dressed his wounds and bathed his body so Lee and her family could say their final goodbyes. "Adam was always so generous," Lee said. "It is no surprise that he gave these five people a second chance at life. "The nurses told me after the surgery that he was so brave and I was so brave. "They said 'This is an amazing thing that you both are doing'." More than 300 people from across Australia attended Adam's funeral service at St Matthew's Church in Cornubia. He was buried just a few kilometres away from his home at Great Southern Memorial Park in Carbrook. ABOUT 6.4 million Australians have registered their decision to donate their organs, with about 1.057 million coming from Queensland. DonateLife Queensland data also shows that about 1424 Australians are waiting for an organ transplant and most of these patients - 70% - require a new kidney. A further 96 people are waiting for a new heart, 125 need lungs, 128 patients need a liver transplant, 57 patients require a pancreas and five people need new intestines. In 2017, a total of 1675 Australian lives were transformed through the generosity of 510 deceased organ donors and their families and 273 living donors. In Australia, organ donation can be done via live donors or deceased donors. Live donors allow a kidney or a lobe of their liver to be transplanted into another person, but the donor - usually a relative - must pass a series of rigorous health and psychological tests conducted over year. Deceased donor transplants are more common but they can only go ahead with the approval of the donor's next of kin. Critical care nurse Francesca Rourke is one of the more than 100 organ donor professionals across Australia who is tasked with talking to traumatised families about their loved one donating their organs and tissues. Based at the Princess Alexandra Hospital, the DonateLife Queensland donation specialist and clinical education co-ordinator said she treasured every conversation with grieving relatives. 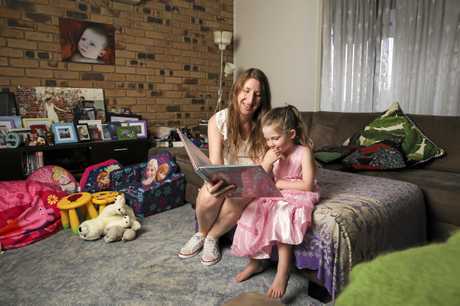 "We sit with the family and have conversations regarding the possibility of organ donation, what that might mean and determining what the family wants, what their loved one would have wanted for themselves," the former Gold Coast nurse and now Brisbane resident said. "We are seeing families at the worst time of their lives. "It's difficult and it's challenging but being involved in something incredible coming from such a bad outcome for one family changes the lives of so many others." Once a family gives the go-ahead, the organ donation coordinators go over the necessary legal and medical forms with them, she said. They will also ensure the grieving relatives are kept abreast of every step in the process. "The worst thing you can do for the family is not provide them with accurate information," Francesca said. The day after the organ and retrieval transplants take place, Francesca will call the family to let them know how the surgeries went and to give them a little bit of background about the recipients. "We let them know what their loved one was able to donate and how many people they helped," she said, explaining that strict privacy laws mean neither the recipients nor donor family are given information that could lead to the other party's identity. The logistics surrounding organ transplants are intensive with the coordination crew making up to 200 phone calls linking donors with recipients and ensuring hospitals thousands of kilometres apart are ready to start surgery once organs arrive via air or road. The most important part of the job, Francesca said, was never appearing stressed in front of grieving families. "It's like a duck swimming on a pond," she said. "We look calm on top of the water but underneath our legs are moving furiously. "No one sees any of this because we are locked away in our little office with our computers and our phones. "Sometimes we are really tired because we'll have been working for 20 hours." THE donor's family will say goodbye in the ICU or they may accompany their loved one to the door of the operating theatre where a team of highly skilled medics and nurses will begin the lengthy operation to delicately remove the organs. Surgeons can only retrieve a person's organs and tissues when the donor patient dies. According to the Australian Organ and Tissue Donation and Transplantation Authority Act, death means "irreversible cessation" of all function of the brain or circulation of blood. In other words, blood is no longer flowing to the brain, causing the body's largest and most complex organ to stop working (brain death); or a person has stopped breathing and their heart has stopped beating, resulting in circulatory death. No part of the body may be removed before the donor's death is confirmed by two senior doctors who must not be participating in either the donation or transplantation surgery. If someone dies in a regional intensive care unit, specialist retrieval teams are flown to the hospital where they operate to remove the organs. The organs are then transported - by jet or helicopter - to the transplant hospitals in Brisbane, Sydney, Melbourne, Adelaide and/or Perth. A donor who was in extremely good health before their death may provide their heart, lungs, liver, kidneys, intestines and pancreas. Doctors may also retrieve heart valves and other heart tissue, bone, skin tissue and parts of the eye including the cornea and sclera. Depending on the number of organs and tissues to be retrieved, a retrieval operation may take up to eight hours. 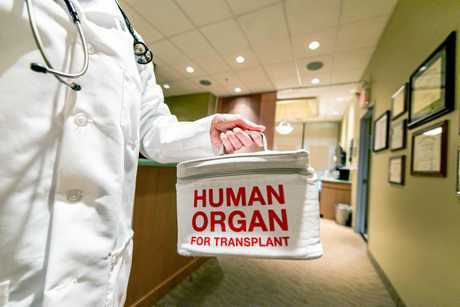 Hearts and lungs must be transplanted into the recipients within six hours while surgeons have about 12 hours to transplant livers and about 24 hours to place kidneys or tissue like corneas into their new bodies. Dr Jonathan Fawcett is a liver transplant specialist. AUSTRALIA'S first transplants started in the early 1940s, when surgeons in Sydney and Melbourne gave the gift of sight by placing the corneas of deceased people into the eyes of living patients. Our first kidney transplant took place in South Australia's Queen Elizabeth Hospital in 1965 and 19 years later, in February of 1984, Dr Victor Chang conducted Australia's first transplant. The recipient was a 39-year-old shearer from Armidale and the surgery took place at St Vincent's Hospital in Sydney. Dr Chang was murdered in 1991 and Fiona Coote is still alive, using her experience to promote organ donation and supporting the Victor Chang Foundation and the Starlight Foundation. Since 1984, there have been many major steps in transplant surgery in Australia and abroad. Brisbane's Princess Alexandra Hospital has been at the forefront of liver surgery for many years. In 2002, PA surgeons performed a world first ground-breaking "single segment" liver transplant on 24-day-old infant and the following year they performed Australia's first heart, lung and liver transplant on 25-year-old cystic fibrosis sufferer Jason Grey. Jason passed away three years later but the tiny "single segment" transplant recipient is thriving. She is now 15 and living in South Australia. 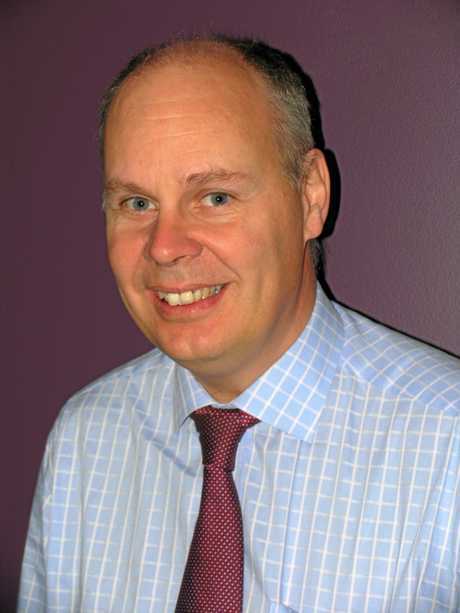 Queensland Liver Transplant Service director Jonathan Fawcett was one of the surgeon's who performed Jason's transplant. The University of Queensland Professor of hepatopancreaticobiliary surgery has been with the Princess Alexandra Hospital and the Lady Cilento Children's Hospital (formerly the Royal Children's Hospital) for 21 years. Prof Fawcett said the complexity of transplant surgeries "varied between organs". "The key components of a successful transplant is the preservation of the organs," the 58-year-old said. "It's up to the surgical team to retrieve the organs without damaging them and to properly preserve them with the preservative solutions and to cool them down. "If you do that right it's a very good start." Prof Fawcett said surgeons were acutely aware of the each donor's sacrifice and this meant the medical teams were determined to save as many lives as possible. "For example, we will split the very best livers into two and try to put the left into a child and the right one we will put into an adult," he said. "That way we can get two transplants out of one donor liver." Prof Fawcett said livers generally lasted longer than other transplanted organs. "There are many donor livers that have been going for more than 20 years in Australia," he said, pointing out that kidneys had the second longest shelf life, followed by the heart, lungs and the intestines. Prof Fawcett said every transplant surgery came with unique problems and solutions. "For example, some livers have variations in the way the blood vessels are set up and this could be technically more complex to put in," he said. "Then you might have recipients who have had a lot of previous surgeries and this can impact getting the blood vessels to join up and to work properly. "This means a straightforward liver transplant might take four hours but a very complex one could take 18 to 24 hours to complete." The patient's survival during and after surgery was his biggest concern, Prof Fawcett said. "Their survival always worries me," he said. "After the surgery you worry about all the ways the transplant could go wrong and you take preventative steps to stop rejection happening. "You start by getting all the technical aspects of the surgery perfect like making sure all of the bleeding has stopped and then you monitor the patient very closely. "You also have to give the right anti-rejection drugs and the right drugs to make sure you don't get infections." 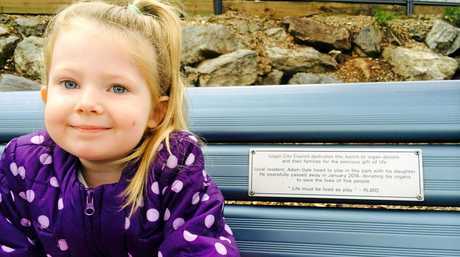 Zoe Gale on the park bench that is dedicated to her dad Adam. FOUR years have passed since Adam died, but the pain of his loss is still raw for his family. "Knowing he lives on in other people brings me some comfort," said Adam's mum Judy, who is loving watching her granddaughter Zoe blossom. "I never stop wishing he was here." Lee and Zoe still live in their Cornubia home. 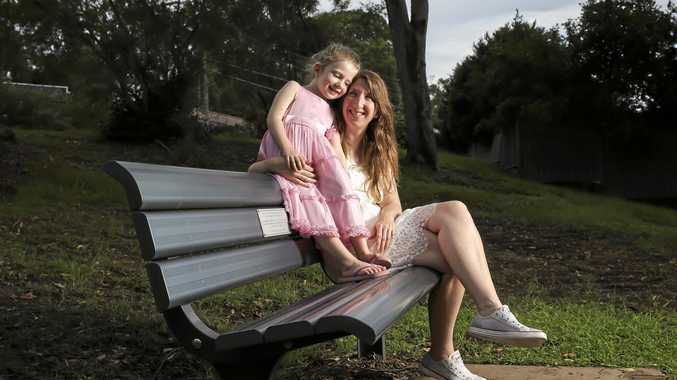 When the mum and daughter want to feel close to Adam, they head across to the park where they relax on a nondescript blue-grey metal bench under a shady stand of trees. A plaque on the chair reads: "Logan City Council dedicates this bench to organ donors and their families for the precious gift of life. Local resident Adam Gale loved to play in this park with his daughter. He peacefully passed away in January 2014, donating his organs to save the lives of five people. 'Life must be lived as played' - Plato." "It's really nice to have somewhere to go and sit, to think about him," Lee said. About 12 months after Adam died, Lee decided to add her own name to the organ donor register. She said signing up was important, but the most vital part of the process was informing her loved ones of her choice because they would have the final say over what happens if she dies. "Please have the conversation with your own family about this - tell them about your own wishes and ask them what their wishes are," Lee urged. "If we die in a way that means we can donate our organs, it's much easier if everyone knows your wishes." Lee knows only a little about the lives Adam saved but she has been told that her husband's sacrifice means another child has her father for a while longer. "We received a letter from one of Adam's recipients, they said they had a daughter of a similar age to Zoe," she said. "I am glad there are not two little girls growing up without their dads. THE national DonateLife network comprises organ and tissue donation state-based agencies, as well as medical and nursing staff who work across 88 Australian hospitals. The Network also promotes organ donation and it hosts the Organ Donation Register on its website. The DonateLife Network started in 2009 and it is overseen by the Organ and Tissue Authority, which regulates organ donations in Australia. DonateLife Queensland coordinates all organ donations across the state, while the Queensland Tissue Banking Service facilitates donation and production of tissue for use in transplants. 1003 Australians were waiting for a kidney transplant. 96 Australians were waiting for a heart transplant. 128 Australians were waiting for a liver transplant. 135 Australians were waiting for a lung transplant. 57 Australians were waiting for a pancreas transplant. Five Australians were waiting for an intestine transplant. 6.4 million Australians had registered their donation decision on the Australian Organ Donor Register. Of these, 1.057 million registrations were from Queensland. In 2017, 1675 Australian lives were saved and transformed through the generosity of 510 deceased organ donors and their families and 273 living donors. In 2016, 9000 Australians benefited from a tissue donation.